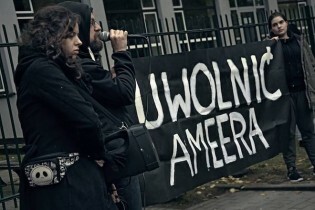 Ameer Alkhawlany moved to Poland in September 2014 to pursue a Master's in biology at the Jagiellonian University in Krakow, Poland's second largest city. Two years later, the Polish state awarded him a scholarship to complete a PhD in the same faculty. The United Nations is planning to launch a global campaign against the spread of intolerance, extremism, racism and xenophobia -- largely by harnessing the talents of the younger generation. In the wake of last week’s attack on French satirical weekly Charlie Hebdo that left 12 people dead, a heated battle of opinion is being waged in France and several other countries on the issue of freedom of expression and the rights of both media and the public. While a fine wine might get better with age, the same is not true for flawed political theories. Amidst the rising tide of racial and religious intolerance worldwide - including xenophobia, anti-Semitism and Islamophobia - the U.N. Alliance of Civilizations (UNAOC) will meet in the Austrian capital of Vienna later this week to strengthen cross-cultural relations in a world it describes as "alarmingly out of balance". Faced with a rise in anti-Muslim sentiment and a well-funded campaign to promote Islamophobia, a coalition of faith and religious freedom groups Thursday said it will circulate a new pamphlet on frequently asked questions (FAQs) about Islam and U.S. Muslims to elected officials across the United States. The attack on a Sikh temple in Wisconsin in early August on the heels of the shooting at a movie theatre in Aurora, Colorado signals the rise of right-wing domestic terrorism in the United States, experts say.